After more than seven years leading the development office at Scripps Institution of Oceanography, Stuart Krantz is broadening his portfolio at the University of California San Diego. Effective January 15, 2018, Krantz is splitting his time between Scripps Oceanography and the Qualcomm Institute, the UC San Diego Division of the California Institute for Telecommunications and Information Technology (Calit2). Stuart Krantz will split his time between Scripps Oceanography and QI. He will focus on key development leadership and donor relationships for Scripps Oceanography as well as the Qualcomm Institute (QI), while also working closely with QI Director Ramesh Rao and Calit2 Director Larry Smarr to pursue an integrated development strategy for the 17-year-old interdisciplinary research institute. "We are excited to welcome Stuart Krantz to QI and we look forward to working closely with him in the context of Chancellor Pradeep K. Khosla's desire to have the institute play a greater role in seeking and enabling transformational support for the campus," said Rao. "The Qualcomm Institute is a campus-wide, interdisciplinary research venture that houses a variety of institutes, research centers, federally-funded projects, laboratories and services that are used by faculty from some two-dozen academic departments. We anticipate that having a high-level development executive on board will allow us to build new bridges between QI and the donor community that could lead to transformational gifts that will benefit the university as a whole." The Qualcomm Institute includes approximately 120 staff, 350 affiliated faculty members, some 200 industry partners, and hundreds of graduate and undergraduate students working on research projects in its headquarters building, Atkinson Hall (named for former University of California President and UC San Diego Chancellor Richard C. Atkinson). The institute also has cutting-edge research laboratories including the Nano3 cleanroom nanofabrication facility, the Photonic Systems Laboratory, Prototyping Facility, and much more. QI has also become an informal incubator of new campus initiatives, housing parts of the Contextual Robotics Institute and the Design Lab at UC San Diego. 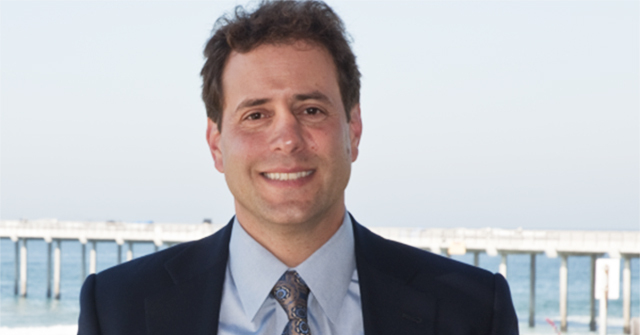 Stuart Krantz joined Scripps Institution of Oceanography in 2010 from the Massachusetts Institute of Technology (MIT), where he was Senior Director of Individual Giving and Foundation Relations. Prior to MIT, he was Senior Director of Strategic Initiative Advancement for Harvard's School of Public Health (2003-2008), Director of Corporate and Foundation Relations at Boston Medical Center (2001-2003), and Krantz began his development career as a Manager of Foundation Relations for the Stockton, CA-based St. Joseph's Regional Health System (1997-2001). Krantz is a product of the University of California system: he earned a B.A. in social sciences from UC Berkeley in 1987, and an M.A. in political science from UCLA in 1990. Krantz can be reached by phone at (858) 822-1405 or by email at skrantz@ucsd.edu.